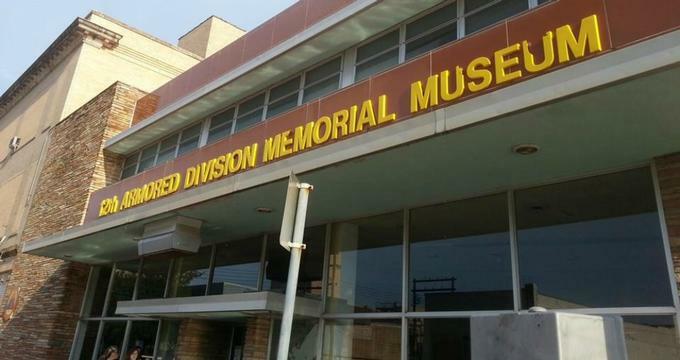 The 12th Armored Division Memorial Museum in Abilene is a rarity among museum dedicated to military history. Those who have visited the 12th Armored Museum, who have visited other military history museums throughout Europe and the United States, have stated that this museum is the only one of its kind, dedicating itself to sharing the story of a single unit's history of combat during World War II. The museum consists of three floors that display personal testimonies, artifacts, and photographs of the veterans of the 12th Armored Division. The 12th Armored Museum fills an empty space in the history of World War II in Europe. This void is filled through the accounts of the vital, but quite often overlooked, 12th Armored Army Division, as well as the roles the individual soldiers played within the unit in triumphing in battles in both Germany and France. Most museum dedicated to the history of military efforts during World War II exhibit military uniforms and equipment. They sometimes have a few videos about D-Day or other significant battles of the war, but they don't typically share the stories of the very veterans who fought in the battle, providing a perspective of the battle of the men who were right there on the ground. The many photographs displayed throughout the 12th Armored Division Memorial Museum share what it was like for the soldiers in the United States Army throughout World War II. These photographs make the presentation at the museum far more personal than most typical military history museum exhibits. The exhibits at the 12th Armored Museum share the personal anecdotes of the brave men who liberated one of the concentration camps, as well as what they saw while there and how it affected them. From the testimony of soldiers who were actually there, the museum shares a unique perspective of knowledge about the Holocaust. Every year, middle school students from throughout Abilene come to the 12th Armored Museum to learn more about the Holocaust, along with the causes of it and its effects. In 2011, thanks in part to a grant received from the Department of Agriculture of the United, the museum was able to acquire the necessary equipment to offer live programs. These webinar-like programs provide a way to teach students throughout the nation about World War II and the Holocaust. The 12th Armored Museum serves as both a memorial museum and an educational museum for the 12th Armored Division of the United States Army. Featured within the museum is a diorama made up of seven parts, offering a three-dimensional look at the battles that took place in Herrlisheim in France during January of 1945. This display is representative of the conditions the soldiers of this division faced while they battled the German Army throughout the Nordwind Offensive. During this event, the German Army was hoping to recapture Strasbourg, as well as supplies they badly needed in order to continue fighting in the war. The 12th Armored Division were able to stop the German Army short of their goals, shortening the length of the war in Europe.